Advantages: Well researched, easy to read style, excellent use of first hand accounts and superb colour profiles. The Sopwith Pup has been much forgotten when it comes to the subject of Aces. Usually these airmen are related to the more popular later aircraft of World War 1. It is quite surprising how many pilots did score 5 or more victories in a “Pup”, the design being renowned for its docile, forgiving characteristics. Norman Franks has brought this to the attention of the wider public with this latest release from Osprey. There are more than 90 black and white photographs contained in the 96 pages common to this series. Each is printed as clear as the source material will allow and there are many images that will be new to a lot of Pup fans. 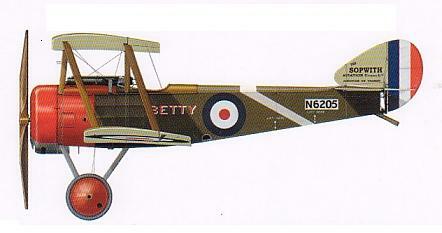 The book starts with a description of the aircraft and includes the reminiscences of the type by William Mays Fry MC. His account of the one he flew with a Gnôme rotary engine is very enlightening. The first Pup victory with the prototype aircraft starts a narrative which covers the type’s claims from the first RFC Pup Unit to the start of “Bloody April”. The latter is the domain of chapter two and goes on to describe the actions that took place during one of the worst periods of the war for the British flyers. Chapter three continues on after this bleak episode and follows the Pup’s fortunes to the point where other more advanced aircraft are starting to take to the skies. The final instalment takes the reader from late July 1917 until the final Pup victory on the 1 December 1917 by Eric Hughes of No. 46 Sqn. Harry Dempsey provides the artwork and this assortment is up to his usual very high standards. Sixteen colour plates adorn the pages and these are supplemented by four additional plan views. The captions accompanying the aircraft are very detailed show the depth to which the author has done his research. The appendices hold much information, the first piece being an article by Flt. Lt C R Mackenzie of 8 Naval Squadron. His notes on “Aerial Fighting in Formation” are very interesting reading. Here he describes the actions to be taken by an 80 hp Le Rhone Sopwith Scout (Pup) in a variety of situations, both in attack, defence and formation flying. Next is a list of Pup Aces. I’m sure many will be surprised that at least 29 pilots scored 5 or more victories in the type. The author lists these men as well as their ultimate total. There is also a breakdown of the individual claims by these airmen including the enemy aircraft type, location, time, and serial number of the Pup used when known. A list of “successful” Pup airframes follows with twenty four different aircraft having been involved in five or more victories. A set of 1/48 scale general arrangement drawings complete the book. Norman Franks has done a fine job of bringing to light an often forgotten mount of the Aces of World War 1. The easy to read nature of the text and the liberal use of first hand accounts make this a pleasing addition to an outstanding series.